The Acura MDX is a luxury three-row SUV available with Technology, A-Spec®, Advance, or Entertainment Packages. Below, you’ll find a selection of 8 Acura MDX SUVs with Technology Package. If you’re in the market for intelligent features and gadgets, such as a Blind Spot Information System, the new Acura MDX tech package is an excellent choice for you. Explore your options below, then get pre-approved online for an Acura lease or financing plan. Test Drive the Acura MDX at Fisher Acura in Boulder! Ready to explore the MDX SUV with Technology Package in person? 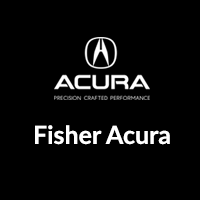 Contact us at Fisher Acura to schedule a test drive near Arvada and Thornton! Before you schedule an appointment, take a moment to browse our new vehicle specials for opportunities on a new Acura! While your here, check out our comparison between the Acura MDX and the Lexus RX 350L, as well as our comparison between the Acura MDX and the 2019 Audi Q5.